Photography is an expensive hobby or profession and everyone wants the best bang for every dollar they spend. This applies to any photography equipment starting with low-cost tripods to super expensive professional grade lenses. 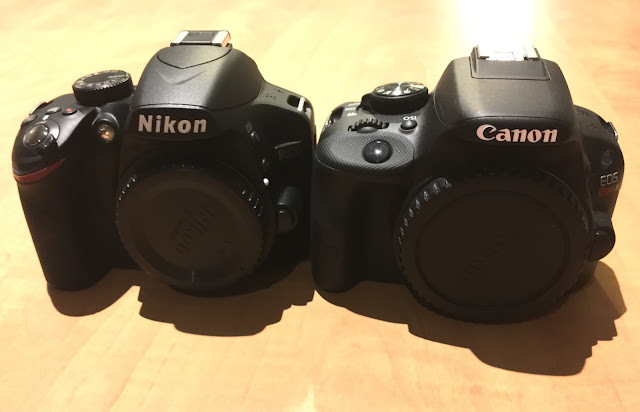 I am sure all of us must have heard of Nikon and Canon. The good old battle between these two DSLR brands will never end. Whether you are a beginner or a full time professional, there are a few quirks everyone should know before switching camera between these brands. 1) The used market for Canon gear is just enormous which makes a good plus point for investment and buying decent used gear. Go to craigslist for a given city and search used photography gear, the difference will be easily noticeable. I searched for 10 different cities in Canada and all had comparatively more listings for Canon. 2) Nikon has better dynamic range cameras. Dynamic range is the ability of the camera to sense the lightest and darkest scene in a given photo retaining as much detail as possible. You will not notice it easily unless the exposure/shadows in your image are really pushed. This is more important for landscape and wedding photographers. 3) The live view of Nikon is not as good as Canon. The live view AF in Nikon cameras could still possibly see a lot of improvement. As compared to other brands, Nikon is the least preferred option for video makers. 4) Canon zoom, focus and mount direction are opposite to that of Nikon. It can be a bit annoying if you have been using Nikon for years, not a major deal breaker though. 5) Spot metering at the focus point is available in 1D series Canon bodies only. Nikon offers this feature in their normal cropped sensor bodies too. Canon seriously lacks in this area. In addition to these five interesting distinctions, there are quite a few user based experiences too. 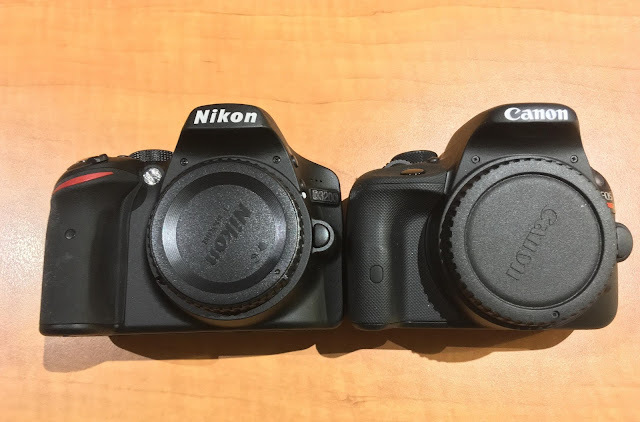 One such difference is that Canon professional services are way better than Nikon professional services, I have heard so many horror stories about Nikon. This is not to say Canon is all gold and glitter, but Nikon seems to be less successful at satisfying customers. Canon is better at marketing with their cream coloured lenses. Ever saw a photographer in soccer or NBA match? It is easy to spot if they are using Canon by the cream colour of lenses. Last but not the least, it is the photographer that makes the photos instead of only gear. Consider switching to what your friends have or what feels more comfortable in your hands. I am currently using a Nikon D5500 and must say I love it. I am still learning on what works and what doesn't. I have always been part of the Nikon family. But it is always so interesting to read the difference. Thank you for sharing.